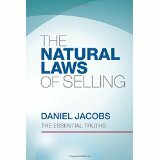 Harness the raw power of the natural laws underlying all methods and techniques of selling, and you will jump-start your sales career with previously untapped energy. If this sounds like what you're looking for, then this book is for you. This is a free event but donations to help with the preservation of the museum are always welcome.